Two cuties are better than one! Celeb besties Bela Padilla and Dani Barretto went on a quick vacay to Hong Kong last weekend. Of course, what's a trip to HK without a stop at Disneyland? 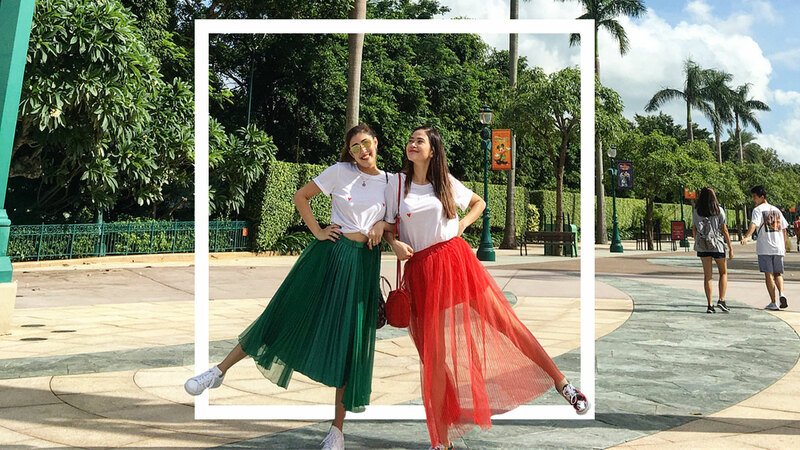 Both wearing Minnie Mouse t-shirts, sneakers, and color-coordinated skirts—red for Bela and green for Dani—they were the ultimate twinning duo at the ~*happiest*~ place on earth.